In a large bowl, combine all ingredients – reserving 1/4 c bread crumbs. 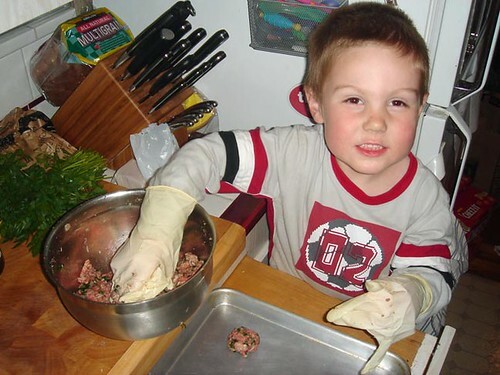 Mix ingredients with hands until incorporated. 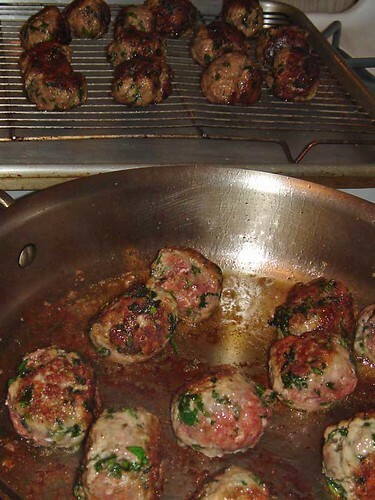 Place remaining 1/4 c bread crumbs into a small bowl. 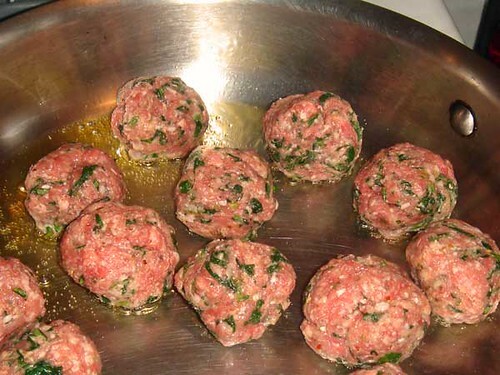 Roll meat mixture into 2 inch balls. Roll in bread crumbs to cover.